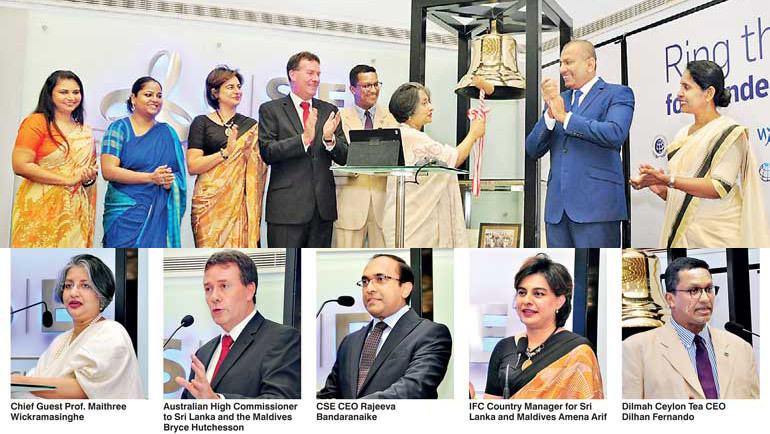 The Colombo Stock Exchange (CSE) together with IFC, a member of the World Bank Group, yesterday rang the opening bell for trading to commemorate International Women’s Day and gender equality. The event, taking place for the third consecutive year, is a partnership that highlights how the private sector can spur women’s participation in the global economy and encourage sustainable development as women too play a major role towards overall growth of a country. She emphasised on the fact that equality involves accepting commonality, considering the common rights of men and women. It involves ensuring equal employment, promotion and opportunities for both men and women, equal access to credit, resources, concessions, markets and benefits. 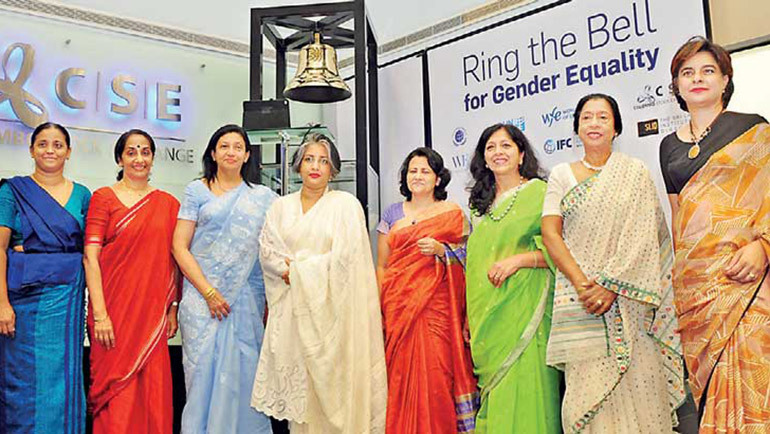 This year a total of 59 stock exchangers across the world will ring the bell to mark gender equality out of which Sri Lanka was the second to ring after Egypt which celebrated the day on 6March. The initiative is a partnership of IFC, the Sustainable Stock Exchanges Initiative, the UN Global Compact, UN Women, Women in ETFs and the World Federation of Stock Exchanges. 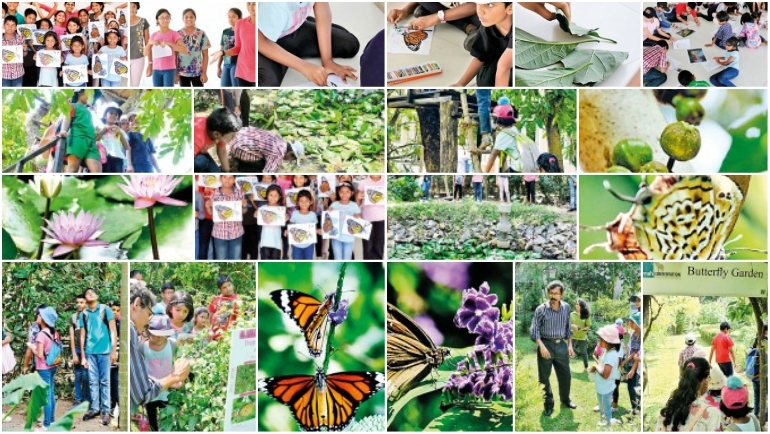 The event stressed that society needs to look at gender beyond gender equality, beyond entry and participation. Gender equity involves at looking at the differences between men and women but most importantly between men and men and women and women. There is also a need to acknowledge gender micro aggressions and policies in workplaces. Corporate entities must work towards providing a more agreeable work-life balance for both female and male employees. 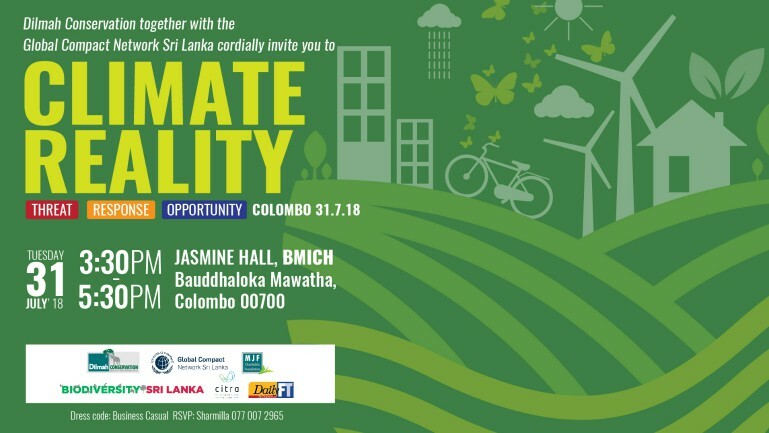 “Women across emerging markets like Sri Lanka are making vital contributions to private sector growth through strong corporate leadership,” said IFC County Manager for Sri Lanka and MaldivesAmenaArif in a statement. 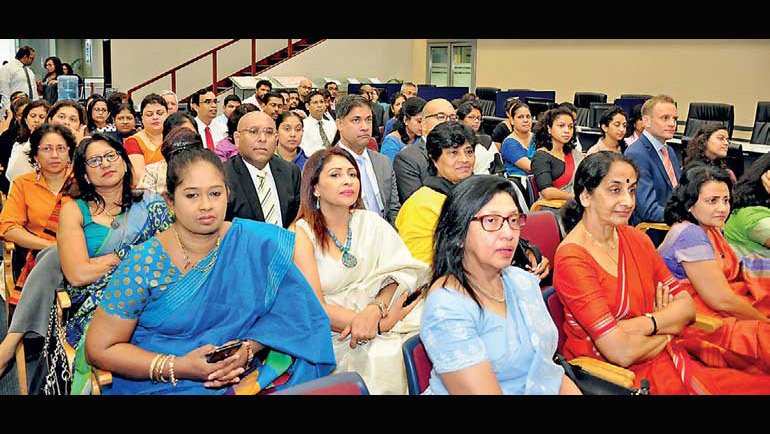 “We are excited to work with our partners though the DFAT-IFC Women in Work program to expand the discussion on board diversity and help more companies retain and attract senior women to serve on their boards,” she added. 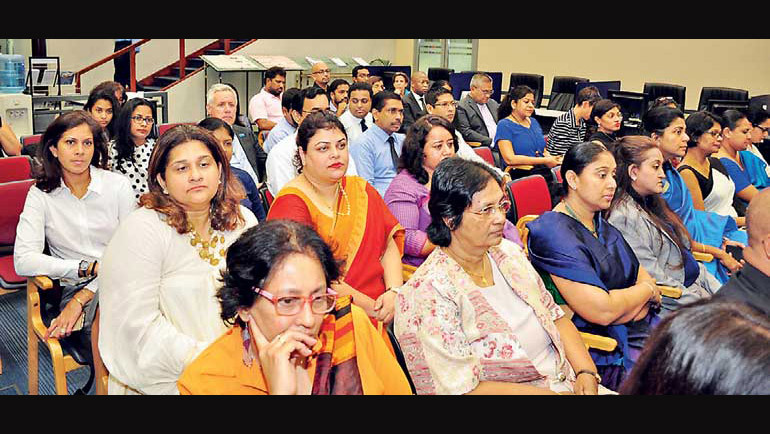 IFC said In Sri Lanka, latest research indicates that about 8% of listed company board directors are women. While this compares well with the rest of Asia, more can be done. 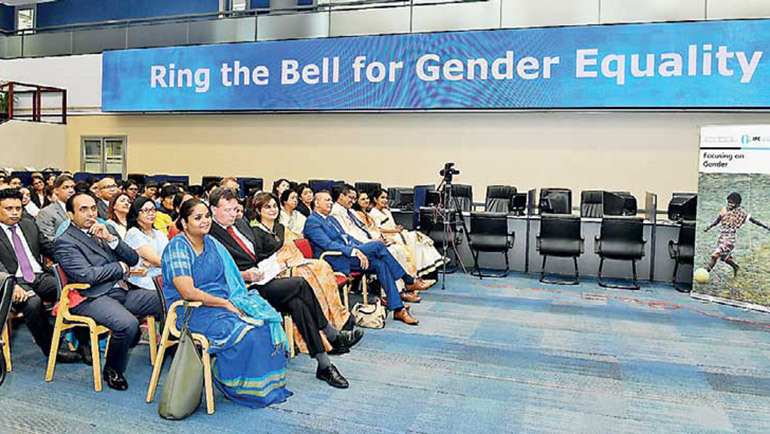 To generate a conversation on women’s leadership, this year’s event in Sri Lanka debuted a film celebrating the diversity of female leadership amongst CSE-listed companies and a women-on-boards directory. “Rights of men, women and children form our very existence and equality from any stance is corrosive and ultimately as self-destructive as armed conflict. 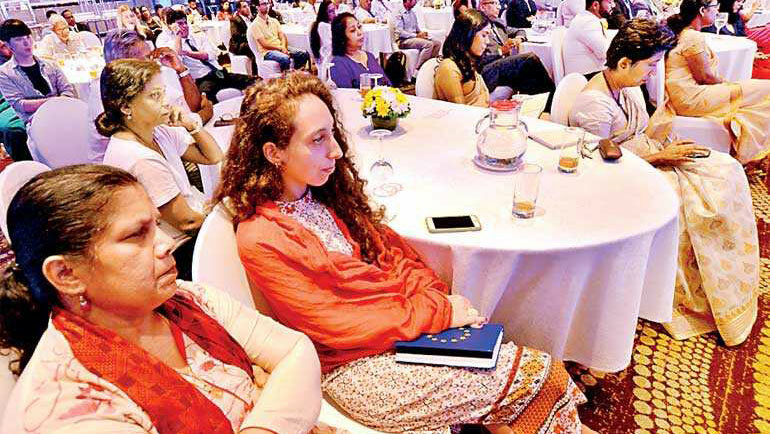 We need greater participation of women in the workforce not only in factories but in corporate seats as well. 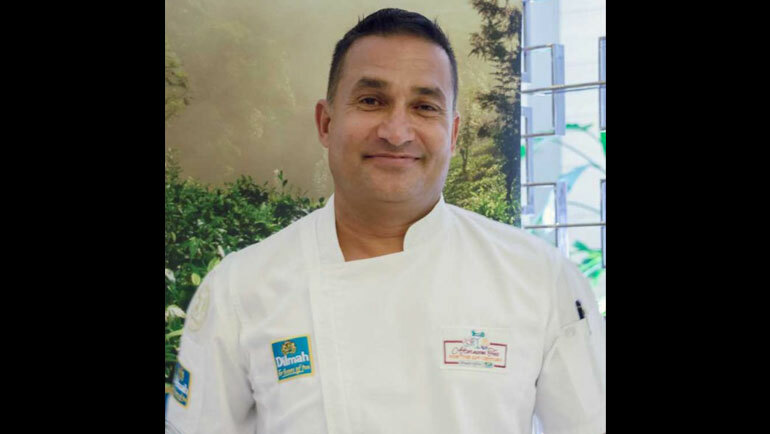 ” added United Nations Global Compact in Sri Lanka Chairman-designate Dilhan Fernando. 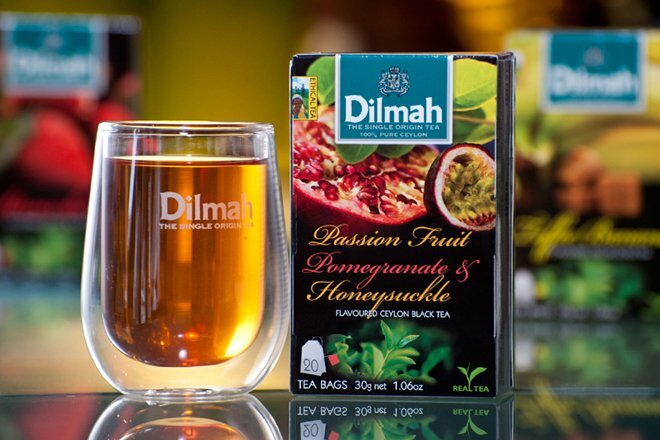 Please click here to View the Original Article in DailyFT.